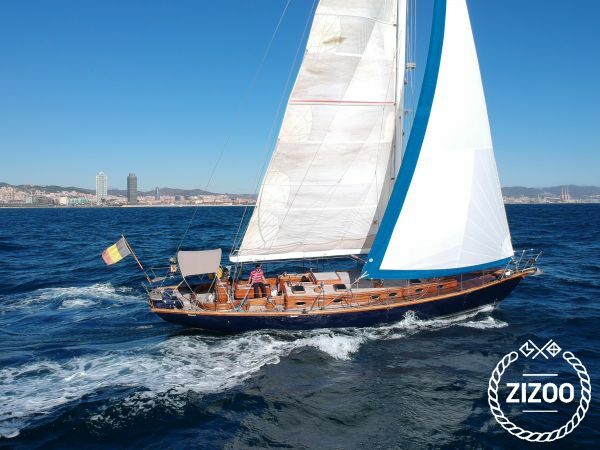 Welcome to Lazy Days, a classic and unique wooden sailboat of 16 metres length. Lazy Days combines classic pedigree with contemporary comfort. Using the original 1940 drawings by designer Patrick Chevalier has resurrected this new 16 meters luxurious Lazy Days; Featuring modern comforts such as wireless music system and electrical winches for put the sails on, whist maintaining the stately, classic-style interiors reminiscent of a period country home. Lazy days comes with a highly skilled captain who is passionate and infinitely knowledgeable about the yacht and her history.